DOT is examining traffic flow in Maspeth, Queens, with a particular focus on the movement of trucks. The study's findings are helping DOT to improve traffic circulation and enhance safety in the industrial and residential neighborhoods bounded by Grand Avenue, the Long Island Expressway (I-495) and the Brooklyn Queens Expressway (I-278). 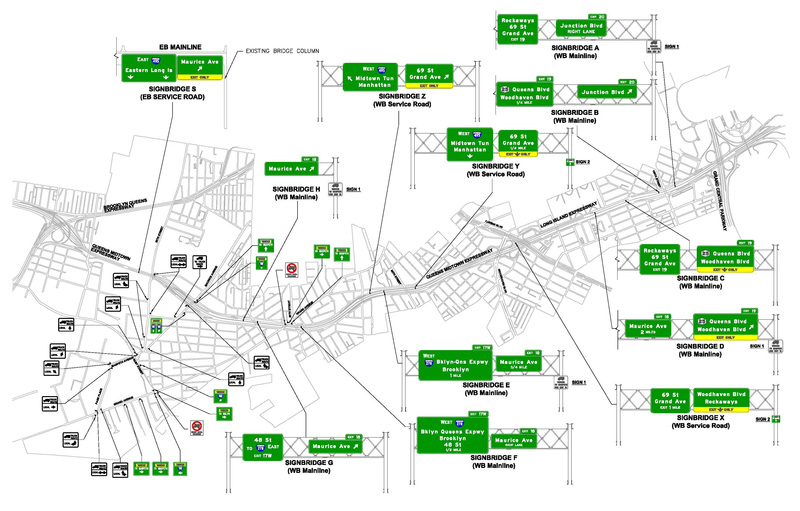 DOT's Truck Route Management and Community Impact Reduction Study, released in March 2007, identified Grand Avenue in Maspeth as a high priority route and recommended that DOT undertake an engineering analysis to inform a plan for mitigating the community's concerns. 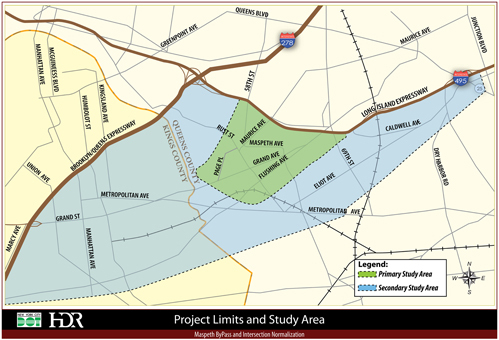 The Maspeth Bypass and Intersection Normalization Study began in the Fall of 2009. Maurice Avenue will become one-way northbound between Maspeth Avenue and 55th Drive. 59th Street will become one-way southbound from Maurice Avenue to 56th Avenue. 58th Street will become one-way southbound between 55th Drive and Maspeth Avenue. The westbound Q39 (to Long Island City) bus stop will be relocated from 58th Street to the far side of Maurice Avenue at 56th Drive.